Elevate your vocal productions with the music production’s most unique plug-in experience for vocals. Quickly get old school sounds you need or create a new school of vocal sounds. Get lost in layers, textures, effects, blending, and morphing in an experimental vocal playground and finally find that secret something that makes your vocals stand out. Choose and meld five unique vocal tools or pick from hundreds of presets for quick impact. We’ve completely redesigned VocalSynth to get you a better sound, faster than ever. Through meticulous design we’ve made improvements to every aspect of VocalSynth including: expanding the Vocoder for a more faithful sound, packing more power into Shred, optimizing CPU, adding more control within each module, and much more. 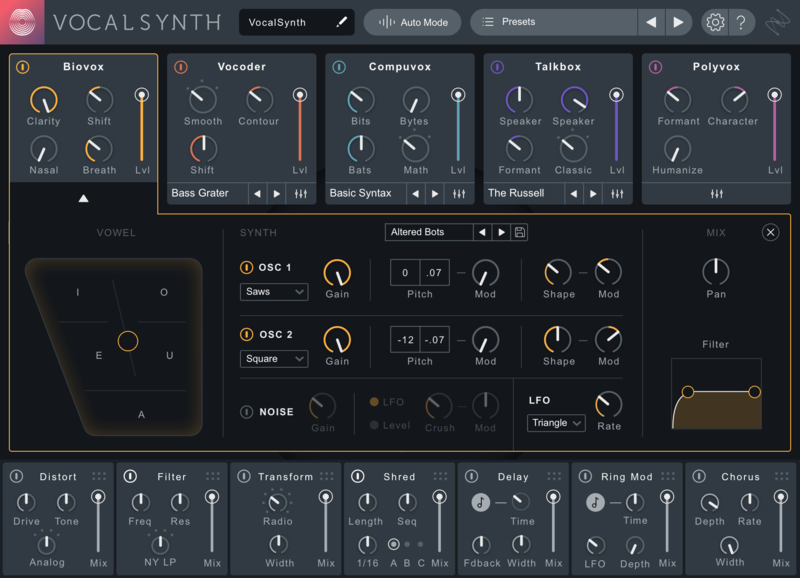 We’ve also added brand new presets that take full advantage of all VocalSynth has to offer, so you can get up and running right out of the box. Create and manipulate your biological imprint with a brand new vocal effect. Using scientific modeling of a human vocal tract, adjust human vocal characteristics like nasality, vowel shapes, and formants for a smooth, textural vocal treatment to any audio signal. Use surgically to adapt takes to better fit your production or apply as a creative effect to make a vocal more present, breathy, or totally mangle it! Further enhance your production with a custom drag-and-drop vocal effects chain featuring seven experimental effects including a new and improved Shred, Ring Mod, Chorus, Distort, Filter, Transform, and Delay. Add a little extra something special for a perfect cocktail of vocal effects. 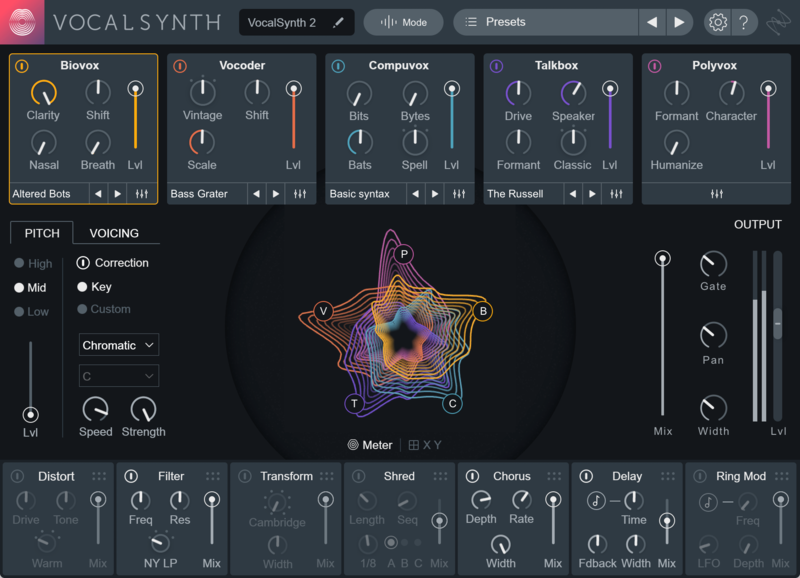 VocalSynth 2 is built to be flexible, giving you three ways to interact and create. In Auto mode, get up and running on any track and apply effects and presets instantly. In MIDI mode, play and automate your production’s effects, harmonies, and other parameters with MIDI input or from any MIDI controller. In Sidechain mode, use any audio signal to drive VocalSynth 2 effects to expand creative horizons. 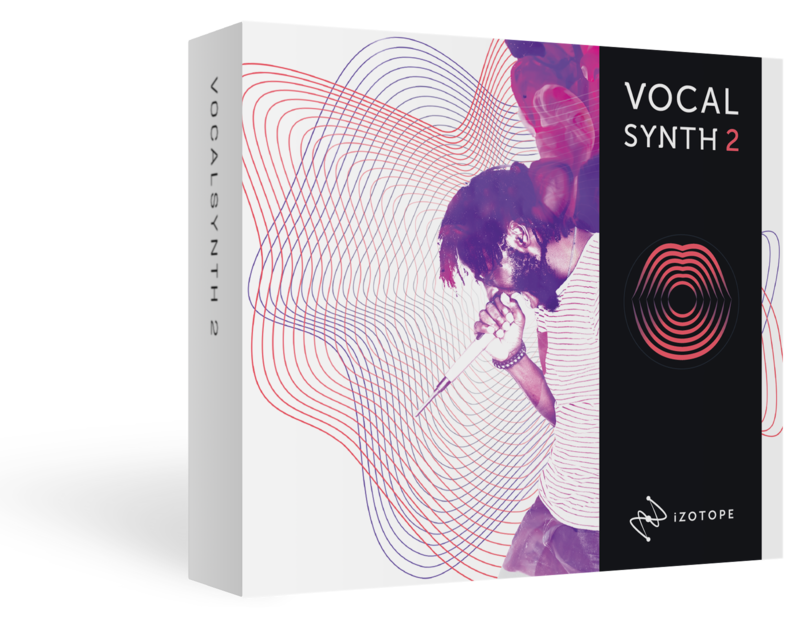 VocalSynth 2 works within the ecosystem of iZotope products. 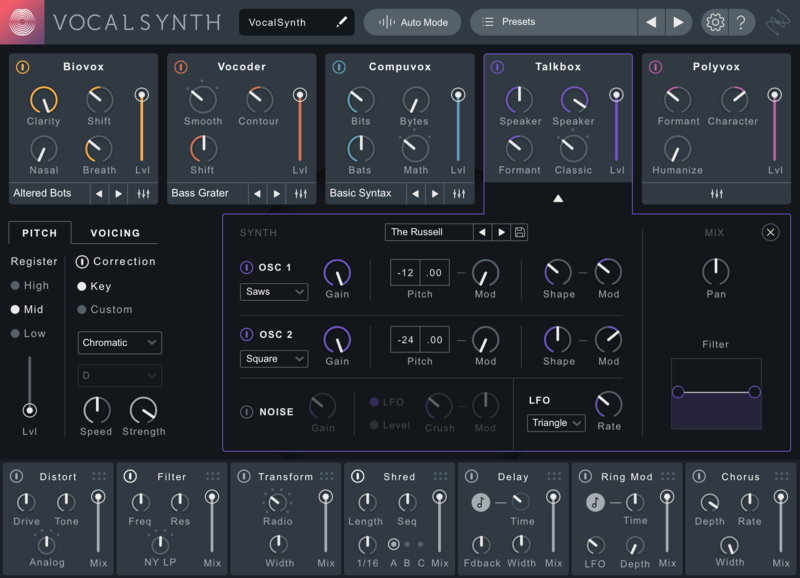 Like Neutron, Ozone, and Tonal Balance Control, VocalSynth 2 features inter-plugin communication, allowing seamless integration with essential tools for music production and analysis. 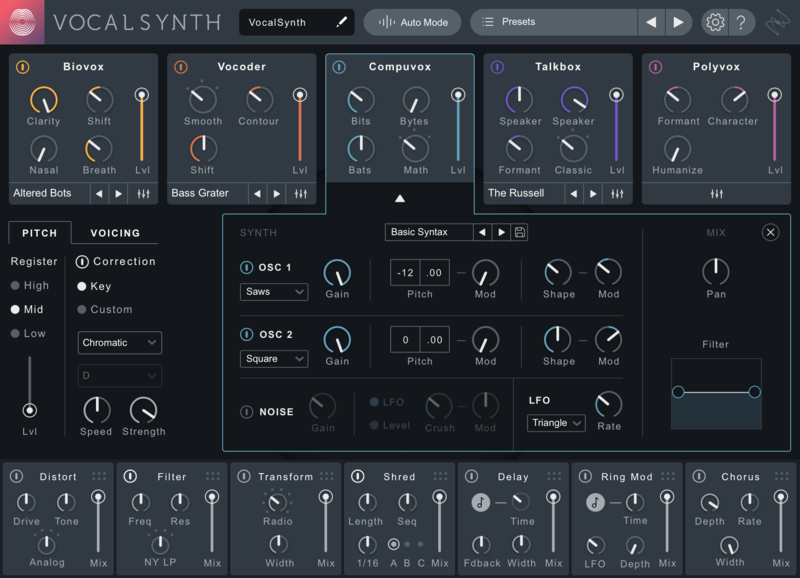 VocalSynth 2 can be seen within Neutron 2’s Visual Mixer and Masking Meter and also within Tonal Balance Control, allowing you to interact and get visual feedback in real time. Biovox​: Using scientific modeling of a human vocal tract, adjust human vocal characteristics like nasality, vowel shapes, and formants for a smooth, textural vocal treatment to any audio signal. Stompbox-style effects:​ VocalSynth 2’s effects include two brand new pedal-style effects: Chorus and Ring Mod with a unique tremolo effect. Now drag to re-order all seven effects including an improved Shred with sequencer as well as Distort, Filter,Transform, and Delay. 3 ways to play​: VocalSynth 2 is built to be flexible, giving you three ways to interact and create: Auto Mode, MIDI Mode, and Sidechain Mode. Inter-plugin communication​: Use VocalSynth 2 within Neutron 2’s Visual Mixer andMasking Meter, as well as Tonal Balance Control for a bird’s eye view of your music production at all times. Extensive sonic enhancements​ to the Vocoder module as well as Talkbox, Polyvox,and Compuvox that improve usability, CPU utilization, and sound quality. 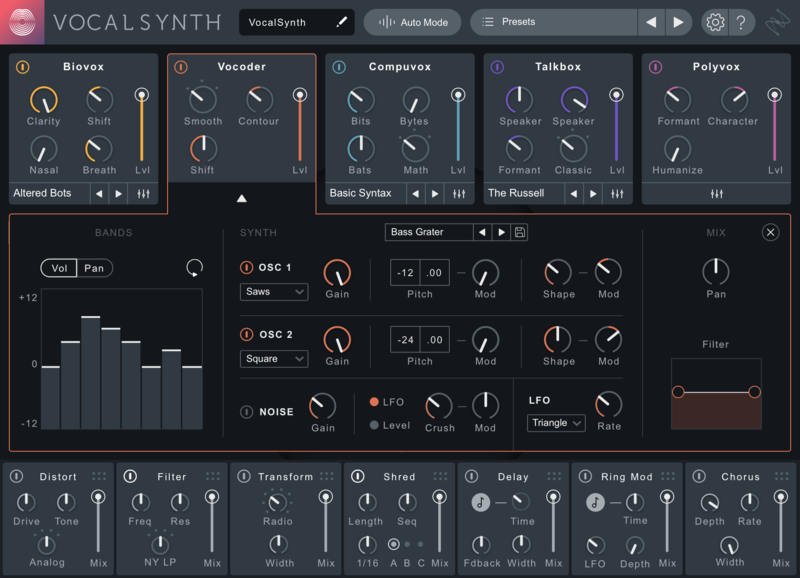 Reimagined interface with deep control: ​VocalSynth 2 includes a brand new, modern interface and the addition of advanced synthesizer controls for each individual module. 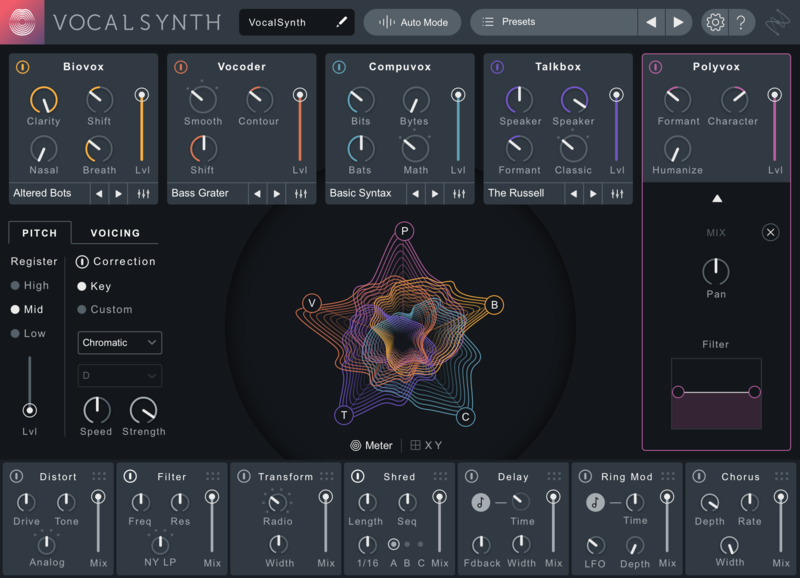 Paired with a fluid, evolving visualization, VocalSynth 2 is primed for hours of creativitywith you at the helm.